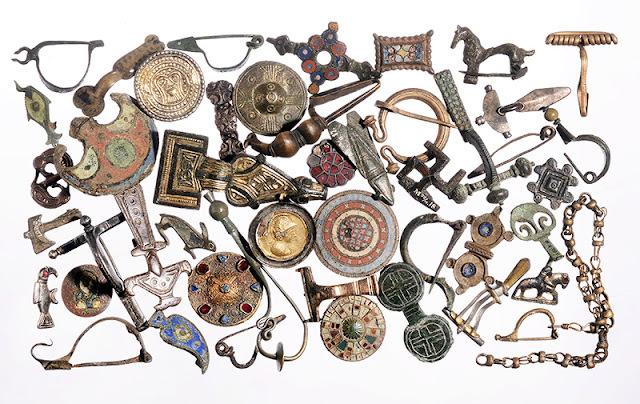 Fibulae is a small exhibition about the clothing accessories that turn up most frequently in archaeologists’ finds: brooches known as fibulae. 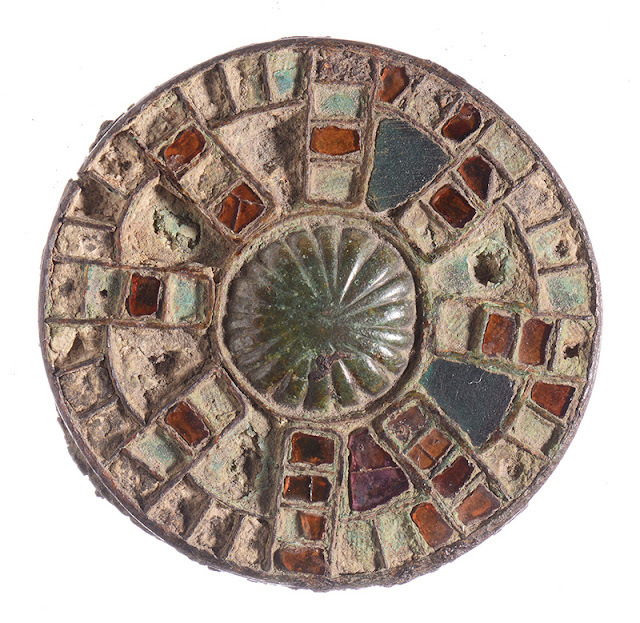 These brooches were used to fasten items of clothing, especially cloaks. Nearly four hundred fibulae are on view in the display cases. They were skilfully made and many are splendid objects. They tell us a great deal about life and fashion in antiquity and the Middle Ages. Fibulae were produced in the Netherlands from the Bronze Age, around 1000 BC, up to and including the Ottonian era, around AD 1000. The exhibition displays almost four hundred specimens from all periods, originating from settlements, burial grounds and sanctuaries. Three-quarters of the exhibits are from the Netherlands, the rest from other parts of Europe. Since fibulae were subject to the whims of fashion, their design was constantly changing. Men usually fastened their cloaks with a single brooch, generally at the shoulder. Women often used several fibulae to fasten dresses, skirts, and cloaks. 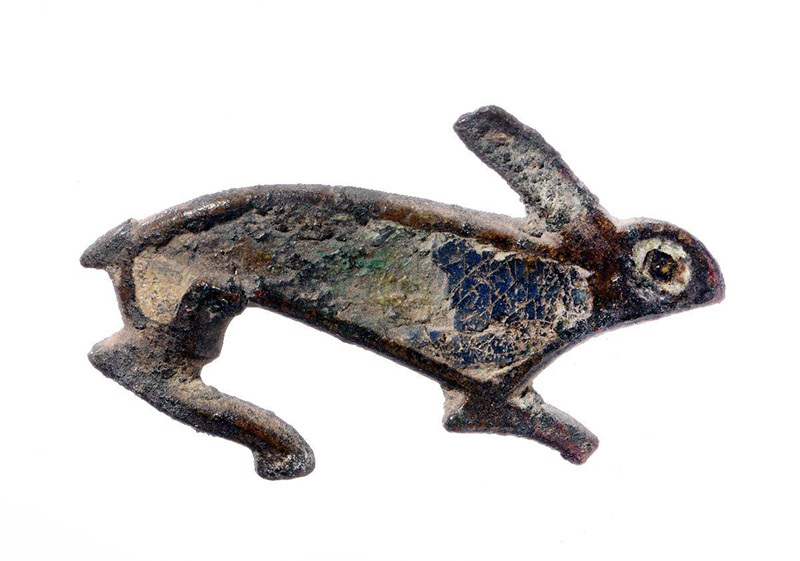 The brooches were forged or cast in large quantities. Most were bronze, but occasionally precious metals were used. Fibulae are often shaped like animals or implements and some bear inscriptions. 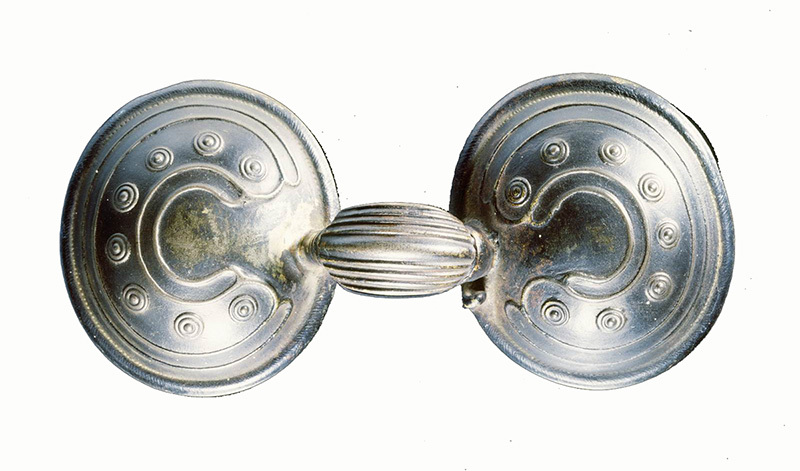 The oldest fibulae found in the Netherlands have two large connected disks and are therefore known as spectable brooches. But those that occur in the largest numbers, in most museum collections, are the Roman fibulae. Roman armies came to these regions just before the beginning of the Christian era. They settled along the Rhine and Waal rivers, attracting merchants and craftsmen in their wake, along with their families. They introduced new types of fibulae in the Low Countries, many examples of which ended up in the soil. The lion's share of objects in this exhibition come from the National Museum of Antiquities’ own collection, while others are from that of Museum Het Valkhof in Nijmegen. The display cases also contain fibulae from several private collections. The exhibition Fibulae is in the exhibition area adjoining the permanent exhibition on the Archaeology of the Netherlands, on the second floor of the museum. The exhibition runs until 3 June 2018.